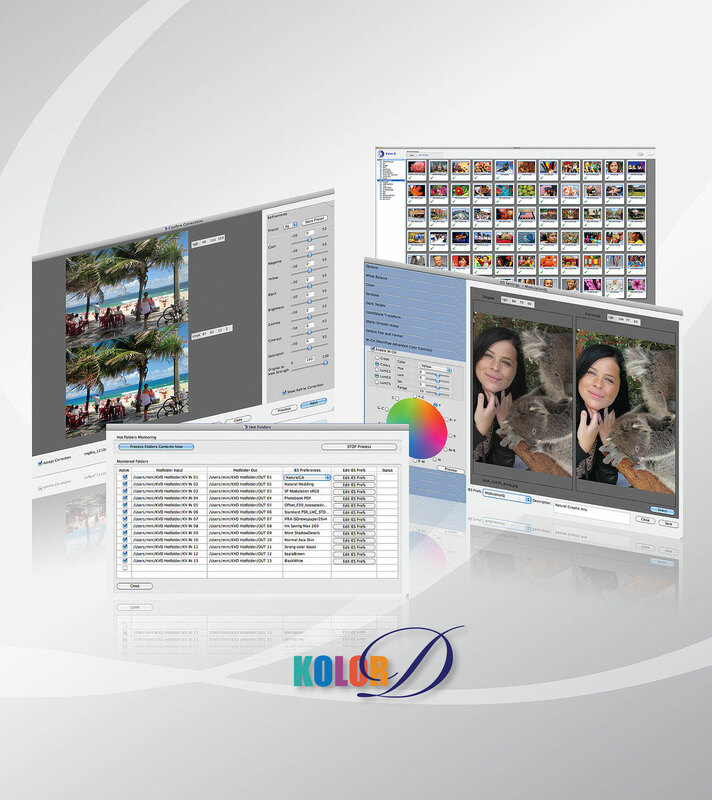 Kolor-D automates the workflow of color images and PDF documents using a comprehensive rule-based Intelligent Expert System (IES) that automatically analyzes, corrects and produces high-quality images and PDF files. It surpasses the basic color management capabilities of existing rips or DFEs that offer predefined document based color settings. Kolor-D was designed to emulate the decision-making expertise of a traditional color pre-media expert, or digital imaging professional. Kolor-D automatically evaluates every image, analyzing it for key image characteristics. It then auto-corrects and enhances the critical elements within the image to ensure optimization through user defined custom rules according to preferences and device color output requirements. 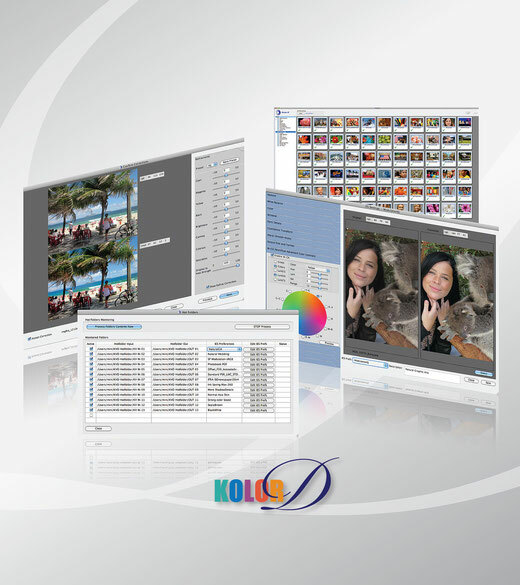 In the time it typically takes to open one image, edit it, and save it back to a file, Kolor-D automatically processes a complete 24-page magazine or photo-book full of images, and places it back into the workflow for process completion. Customized preferences to meet your color and process needs. W-CA advanced Color Control to enhance the color output gamut thereby meeting unique device requirements. Single Hotfolder - One Input/Output Hotfolder for a small automated workflow. Multiple Hotfolders - Many Input/Output Hotfolders for variable output workflows. Server Hotfolders - Many Input/Output Hotfolders across many computers connected by network for high volume workflows. PDF workflow that supports the processing of single or multi-page documents. INK Control Module - Image Level Ink saving for Offset and Digital output. Confirmation/Inspection/Fine tuning - Option for before/after confirmation and fine tuning results.